Back in July, MediaTek announced the first true-octa core processor that will utilize the power of all eight cores simultaneously with maximum performance and efficiency. Samsung also has an octa-core chipset, Exynos 5 Octa, but it used four cores at one time. The move was even criticized by the folks at Qualcomm who said that it’s dumb to introduce a true-octa core processor. Now, the first handset powered by this true octa-core processor – MediaTek MT6592 – is official. 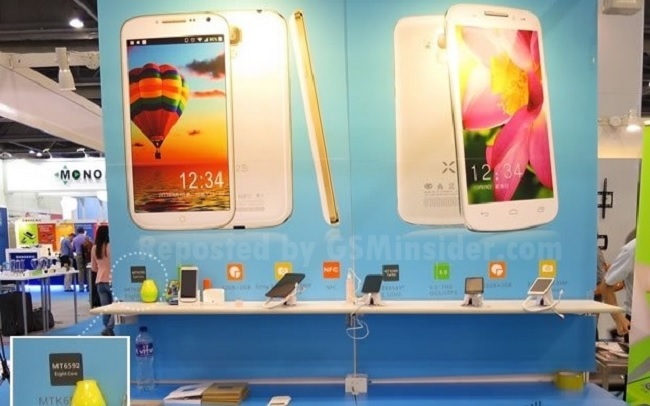 The handset is manufactured by a Chinese OEM UMI who unveiled the UMI X2S during 2013 Hong Kong Electronics Fair held from October 13th to 16th. UMI is a Chinese manufacturer who is using MediaTek chips in its smartphones as it cheaper compared to chipsets manufacturer by other OEMs like Qualcomm. UMI X2S is the successor of UMI X2 in China. The handset comes with a 5-inch full HD display boasting a resolution of 1920 x 1080 pixels and is powered by MediaTek MT6592 octa-core processor with a clock speed of 1.5GHz. Other specifications include 2GB RAM, 32GB internal storage, a 13MP camera with Sony lens and supports NFC. The price of UMI X2S starts from RMB 1,499 ($245) and goes up to RMB 1,999 ($327). There are no details about the availability of the handset.